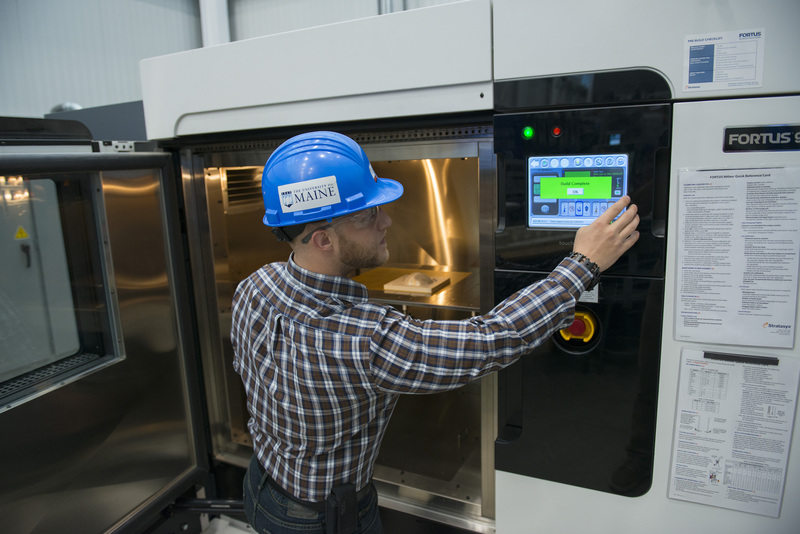 Our Fortus 900mc 3D printer which allows additive manufacturing of parts up to 36” x 24” x 36” using 13 different thermoplastic resins. Durability and lightweighting for industries such as automotive and aerospace is achieved through the use of a tape layup cell, a vital process in the engineering of oriented fiber composites. 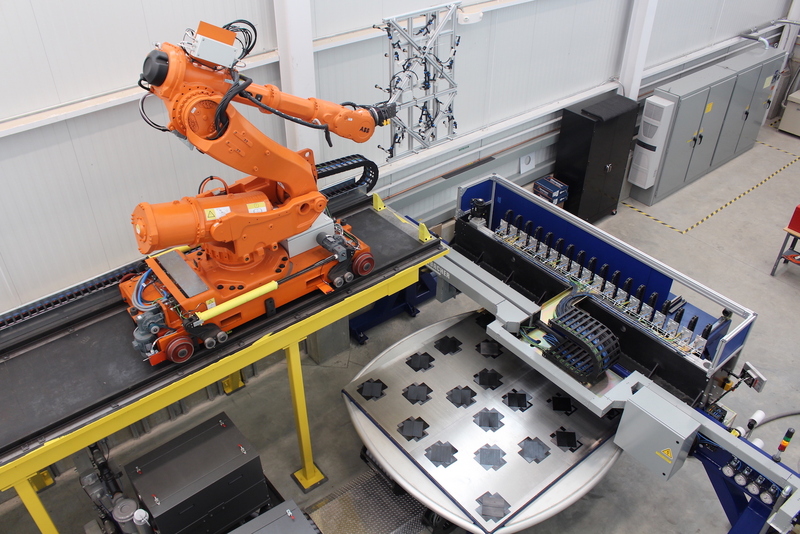 The tailored blank produced in the tape layup cell is transported by an ABB 6650S Industrial Robot mounted on a rail system spanning the entire manufacturing line to the thermoforming cell. 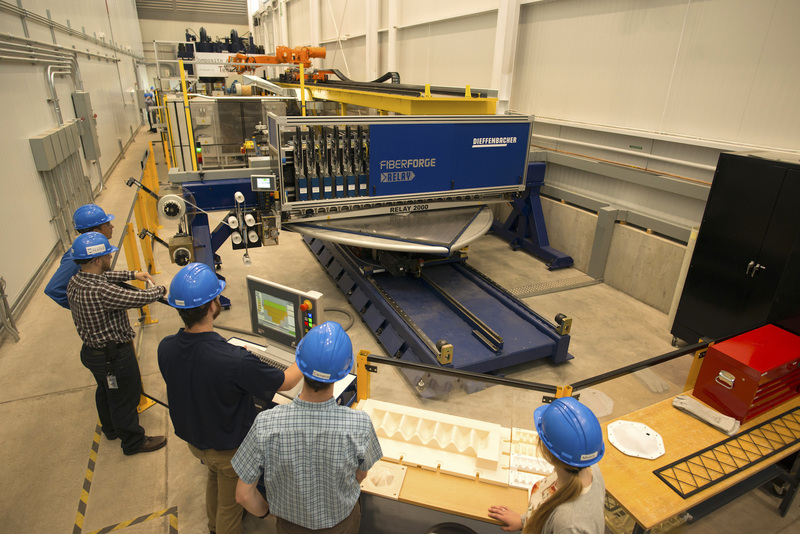 This cell quickly heats blanks in the Sopara Infrared (IR) Oven, where they are subsequently transported to a 700-Ton Utah Hydraulic Press for molding. Once the thermoforming stage is completed, the product enters a post-processing cell where machining, joining, cutting, grinding and drilling operations can be performed. 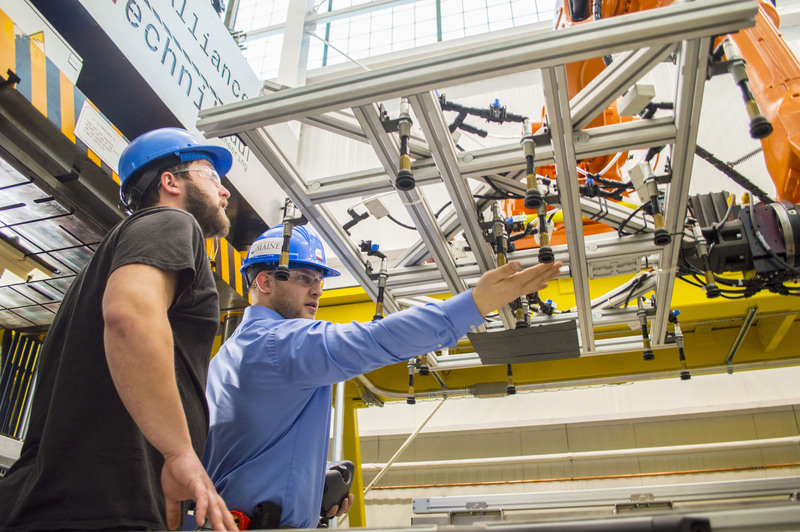 Rapid transportation of raw thermoplastic materials, such as tailored blanks, and final products is accomplished through the use of our 6-axis ABB IRB 6650S Industrial Robot mounted on a laboratory-long rail system. 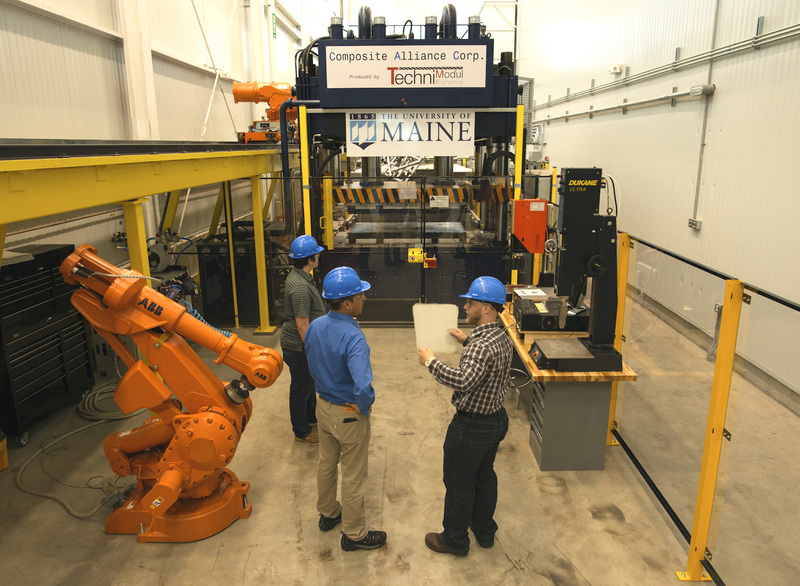 The Alfond Advanced Manufacturing Lab was developed to facilitate research in long-fiber reinforced thermoplastic composites. Click here to learn more.